Sally | Poodle in Edmonton. Sally is hiper and loves to play with other dogs, but sometimes gets a bit timid, especially with bigger ones. 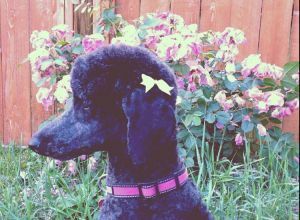 She is a standard poodle, but is on the smaller side of them.